This Heady Treasures T-Shirt features our logo on the front and the HT logo on the back and is made from 100% cotton. 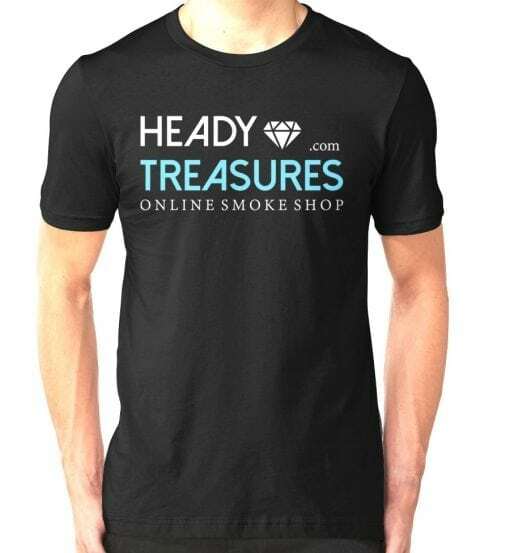 This Heady Treasures T-Shirt features our logo on the front and the HT logo on the back and is made from 100% cotton. These unisex shirts fit comfortably for your size. Available in sizes Small, Medium, and Large. Heady Treasures was founded in 2014 in Upstate New York. We support American brands and American artists, both underground talent and elite glassblowers.